This is a brief biological story involving the agave plant and its pollinators that are instrumental in the birth of tequila! A quintessential cocktail, the margarita is apparently the “most popular mixed drink in America”  with February 22nd celebrated as National Margarita Day. Variants may abound spanning a rainbow of colors, but in essence, it comprises of tequila, triple sec, juice of a citrus fruit (traditionally lime), and of course, salt on the rim of the glass. 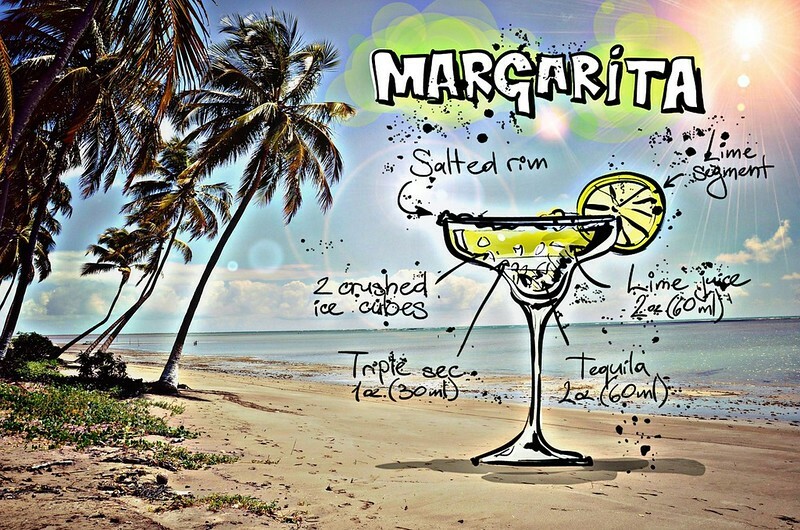 Arguably, elemental to the margarita is the tequila. And this is the story of the journey tequila has taken, over space and time, to get to the party. Figure 1 The ingredients behind a classic margarita. Tequila has its innocuous origins in the blue agave (Agave tequilana) – a rather mundane-looking succulent that’s native to Mexico. There are about seven steps separating blue agave from tequila: harvesting, cooking, extraction, fermentation, distillation, aging, and bottling. These steps broadly apply to most alcoholic beverages made from plants, and each has fascinating biochemistry that’s worthy of exploration. While the fermentation process is particularly interesting from a biological viewpoint, the botany and ecology of the agave plant involve a cast of natural curiosities that have wonderful tales to tell. 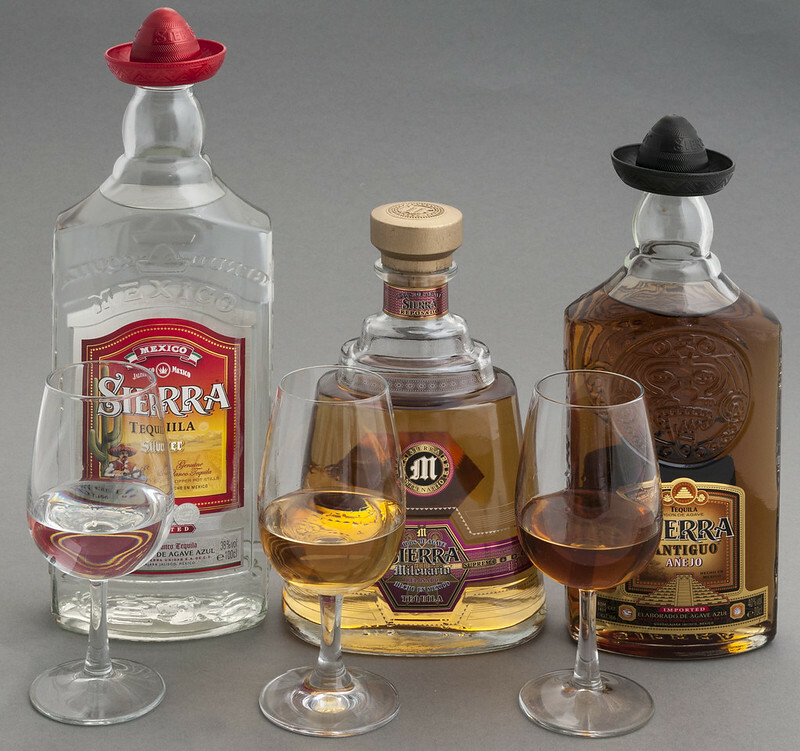 Figure 2 Different types of tequila. The blue agave is a cultivar (cultivated variety) of A. tequilana with leaves that are a characteristic bluish gray in color and looks uncannily like the doppelgänger of a very overgrown pineapple. The heart of the agave, also called the piña, forms the pulsating heart of tequila. 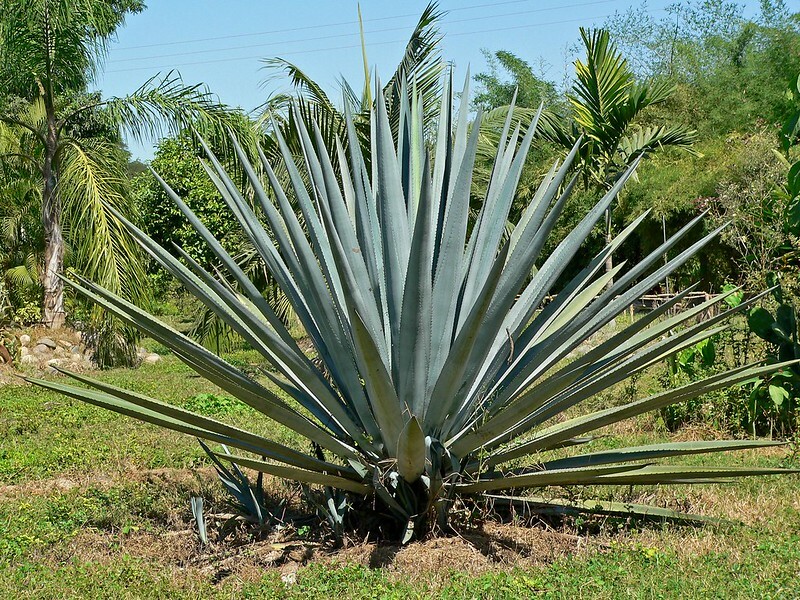 The piña is found below ground while the spiky blue-gray leaves point in every which direction above the soil. The size and sugar content of the heart are of essence, especially the latter – to get a liter of tequila, about 15 lbs of these hearts are necessary, but don’t worry a mature piña could weigh a whopping 300 lbs at the upper end of the spectrum! The piñas are harvested using special implements after the agave plant has grown for about seven years. They are quite starchy in taste and texture initially, and the cooking and shredding process transforms them, resulting in a sweeter output. This is then fermented with yeast in huge vats, and then distilled, aged, and bottled. Tequila is in august alcoholic company having a protected geographical indication or designation of origin, joining the elite likes of champagne, cognac, sherry, and its agave sibling (parent?) – mezcal. This essentially means that to be stamped ‘tequila’, the boozy beverage has to jump through a set of official hoops. For instance, it has to be from the Weber Azul cultivar of Agave tequilana and grown in specific, semi-arid areas of Mexico where the weather, soil, and geographical conditions are suited for the optimal growth of the plant. This limits the production of tequila to the Mexican states of Jalisco, Nayarit, Tamaulipas, Guanajuato, and Michoacán, with the highlands of Jalisco being the most important for production. Figure 3 The blue agave plant. Pollinators are organisms that move pollen from the male anther (gametes) to the female stigma (ovules) of flowers, resulting in fertilization. This is a fancy way of saying: pollinators act as messengers of sexual reproduction in the plant world. The blue agave is pollinated primarily by two different bats in the wild [2,3,4,5]: the Mexican long-nosed bat (Leptonycteris nivalis) and the lesser long-nosed bat (Leptonycteris yerbabuenae). Both are species of nectar-feeding bats that migrate from Mexico to the USA over the summer, where they are endangered. These nocturnal bats feed on the nectar from the agave plants in bloom using their long muzzle and a tongue that can measure up to a third of their body length. Nectar is found at the base of the flower, and while feeding on the nectar, the bat’s fur gets coated with pollen, which it deposits on the next flower as it continues feeding. The agave nectar that the bats use as sugary treats that fuel their flight are nutrient rich – the nectar is about 20% sugar while pollen is about 50% protein. 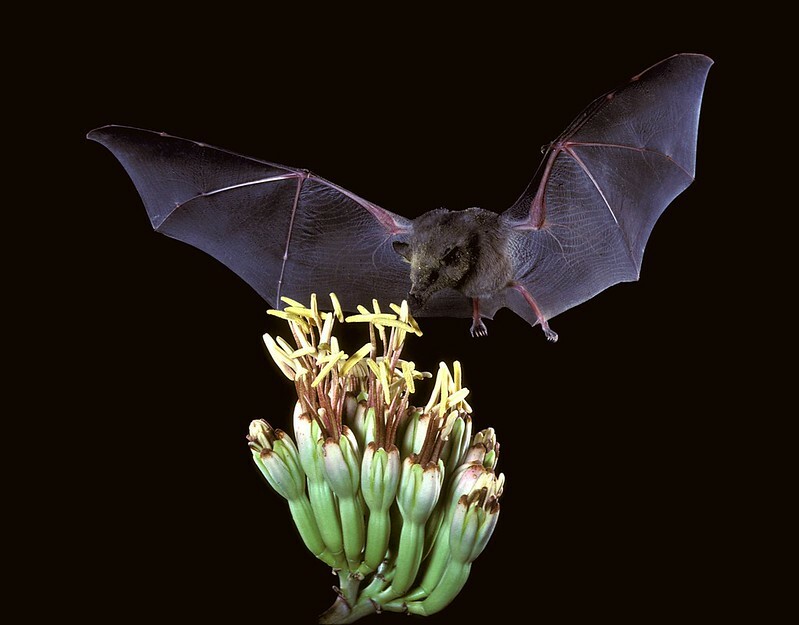 Figure 4 The Mexican long-tongued bat (Choeronycteris mexicana) pollinating a plant. These bats are pollinators of not just agave but several species of plants found in the area, all having one similarity: they are open at night. Plants like the agave that are pollinated by bats have flowers that are not brightly colored since color is ‘expensive’ and unnecessary since the bats are active at night and not visually enticed. However, the flowers do have characteristic odors, rather like overripe or rotting fruit , that appeal to the bats. The cultivation of agave for tequila implies that flowering is prevented. In such a situation, bats might shift their diet and focus on the other plants. Agave also has other mechanisms for propagation that don’t involve seeds wherein the plant reproduces vegetatively by spreading ‘plantlets’ underground. In the absence of bats, they can also produce clonal bodies from unfertilized flowers. While both sides are able to survive and reproduce in the absence of the other in this particular situation, there are plant-pollinator networks that are tightly coupled with serious consequences to the associated species. The story of tequila spans geographical space and evolutionary time to get to its current form, with support from a whole crew of characters. The next time you’re holding that glass of margarita, do feel free to raise a toast to the plant and its pollinators who have traveled from afar! Blue, Anthony Dias. “The Complete Book of Spirits: A Guide to Their History, Production, and Enjoyment.” HarperCollins. p. 114. ISBN 978-0-06-201281-4. Slauson, Liz A. “Pollination biology of two chiropterophilous agaves in Arizona.” American Journal of Botany 87.6 (2000): 825-836. Molina-Freaner, F., & Eguiarte, L. E. (2003). The pollination biology of two paniculate agaves (Agavaceae) from northwestern Mexico: contrasting roles of bats as pollinators. American Journal of Botany, 90(7), 1016-1024. Howell, D. J., & Roth, B. S. (1981). Sexual reproduction in agaves: the benefits of bats; the cost of semelparous advertising. Ecology, 62(1), 1-7. Knudsen, J. T., & Tollsten, L. (1995). Floral scent in bat-pollinated plants: a case of convergent evolution. Botanical Journal of the Linnean Society, 119(1), 45-57.